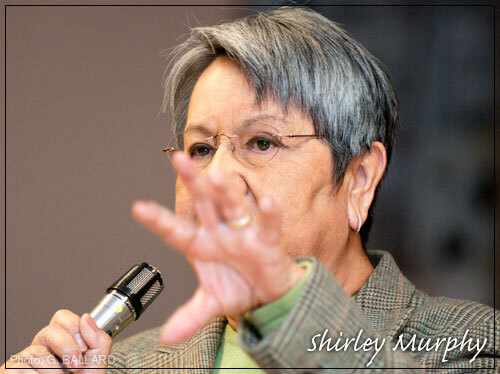 Shirley Murphy, a Lakota cultural psychologist, connects with her audience during her presentation about generational trauma and tribal peoples. 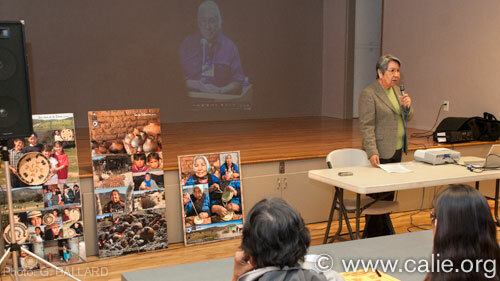 "Healing begins once we embrace our intergenerational trauma as Native Americans. "We can then ask ourselves, 'What do we want?' One answer we all want and deserve is to be able to live a quality life." Program supported by: San Diego Unified School District Title VII Education, Indian Human Resource Center, Southern California American Indian Resource Center, Inc. SCAIR. 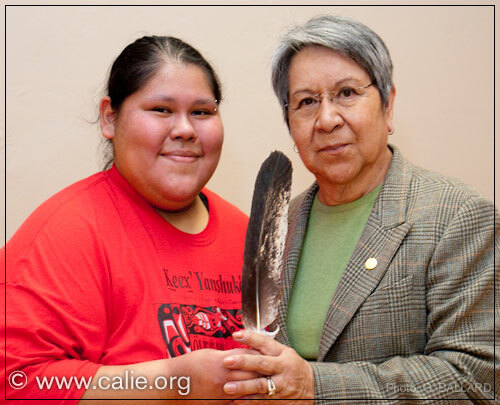 Shirley Murphy was presented with an eagle feather during the event. 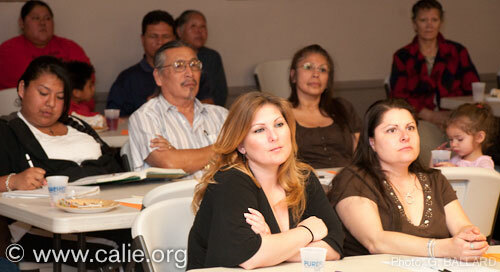 The presentation "Impact of Inter-Generational Trauma: Reflections on Healing" took place at the Normal Heights Community Center in San Diego, February 26, 2009, as part of the San Diego American Indian Health Center Community Night series. Participants put together a pot luck dinner and provided children's activities. 2003 SYCUAN TRAUMA CONFERENCE PICTURES — Models of Healing for Indigenous Survivors of Inter-generational Trauma, conference pictures. Sycuan Kumeyaay Nation hosted by DQ University at Sycuan, now Kumeyaay Community College, San Diego, USA, Native American — WATCH MOVIE SHORT.